If you're on the lookout for a cheap Windows tablet that offers little more bang for your buck, then check out the Dell Venue 8 Pro 3000. 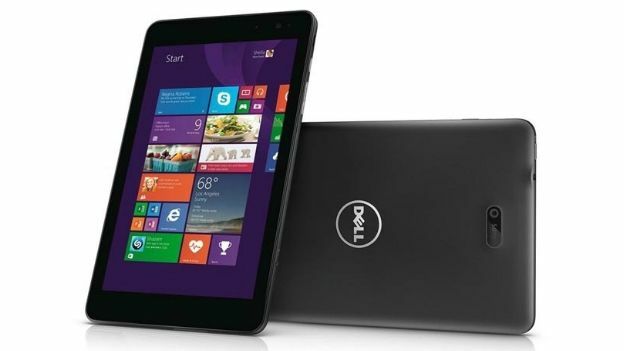 Dell has become the latest company to roll out a Windows tablet with an affordable price tag. The Dell Venue 8 Pro 3000 may be a little more expensive than other Windows 8.1 tablets from the likes of Toshiba and Acer, but it offers a rather more capable spec sheet. The starting price is $200 (around £125), for which you'll be getting an 8-inch 1280 x 800 display and 32GB of storage. That's better than most in the same price bracket, although the rest of the specs are what you would expect from a low-cost tablet. That includes an Intel Atom processor, a skimpy 1GB of memory, microSD expansion up to 32GB, Bluetooth and microUSB. The Venue 8 Pro also packs a built-in microphone and speaker, and a 1.2MP front-facing camera and 5MP rear shooter. If that doesn't float your boat, then you can also grab the Venue 8 Pro 5000 with a better processer and twice the RAM starting at $249.99. The Venue 8 Pro comes in black and white and also has a free 1-year Microsoft Office 365 subscription bundled with it.